Originally published on June 28, 2016 by Casey Williams for Huffington Post. In Congress these days, it’s all about that waste. Legislation introduced Wednesday in the Senate aims to dramatically reduce the amount of food being wasted in the U.S. While it’s not the first bill to tackle the issue, it’s one of the broadest and beefiest. The Food Recovery Act, sponsored by Sen. Richard Blumenthal (D-Conn.), includes measures to educate consumers about food waste, nudge school cafeterias to buy banged-up fruits and vegetables and simplify expiration dates. The bill represents a “broad and effective way to prevent waste,” Blumenthal told The Huffington Post. If passed, the law would help “save money, save food for people who are food insecure” and avoid a host of environmental damages, he added. The Senate bill is a companion to legislation Rep. Chellie Pingree (D-Maine) introduced in the House of Representatives in December. And it comes just about a month after Blumenthal and Pingree rolled out legislation that seeks to create a new, uniform system for food date labels. Up to 40 percent of the nation’s food goes uneaten, yet millions of Americans aren’t able to put healthy meals on their tables. The recent stream of food waste legislation reflects a growing desire among individuals, businesses and legislators to rein in the country’s waste problem, said Emily Broad Leib, director of the Harvard Food Law and Policy Clinic. “I feel like now we’ve reached this tipping point where it’s in the public consciousness,” she added. There’s a lot packed into the new bill, but here are some of the highlights. The proposed legislation would fund campaigns to educate consumers about food waste, as well as promote efforts to teach kids in schools about waste. It would also strengthen good Samaritan laws, which shield businesses that donate old food from lawsuits if recipients of their food get sick, and establish an Office of Food Recovery to oversee the country’s efforts to reduce food waste. One of the bill’s more zeitgeisty provisions would encourage schools to buy fruits and veggies that don’t meet high aesthetic standards — so-called “ugly” produce — for their cafeterias. Stocking imperfect fruits and veggies is something anti-waste advocates have been calling on large food retailers, including Walmart, to do as well. In addition, the bill includes a provision to standardize date labels on food. The Food Date Labeling Act, introduced in May, also calls for a uniform date labeling system. Both pieces of legislation, if passed, would replace the current confusing and largely unregulated labeling system with just two labels: one indicating a food’s quality (“best if used by”) and one indicating when a food will become unsafe to eat (“expires on”). That small change could put a huge dent in the country’s waste problem, according to Blumenthal. “We will see a drastic change in consumer practice as more people understand that the sell by date has no relevance to food quality or safety and that we can feed more people who now go hungry,” he said. The Senate bill differs in a few ways from its counterpart in the House, which is currently in committee. The earlier bill included tax incentives for donating uneaten food and several other anti-waste measures. The new Senate bill doesn’t include these provisions because most of them were tucked into the omnibus spending bill that Congress passed in December. The Food Recovery Act also doesn’t include much regulation. With the exception of a measure requiring food distributors with government contracts to donate leftover food to food pantries, the bill doesn’t force businesses to take steps to reduce waste. While there appears to be bipartisan support for measures to reduce food waste, there’s likely to be opposition to at least some aspects of the bill, according to Broad Leib. The article, written by Twilight Greenaway, looks at Walmart’s efforts to reduce food waste through the use of standardized labels for their private label “Great Value.” All products in the line are required to use the label “best if used by,” which was found to be the best label to indicate a potential change in quality but not food safety after surveying Walmart shoppers. Emily Broad Leib, director of the Harvard Food Law and Policy Clinic, spoke to The Guardian about the clinic’s long history of raising awareness of the issue of confusing date labels. “Broad Leib has considered confusing date labels as one of the “biggest components of household food waste” since she was approached by former Trader Joe CEO Doug Rauch four years ago to help him maneuver a series of legal hurdles to start Daily Table, a retail company that specialized in excess or overstocked from grocery stores, food suppliers, manufacturers, restaurants and growers sold at a discounted price. 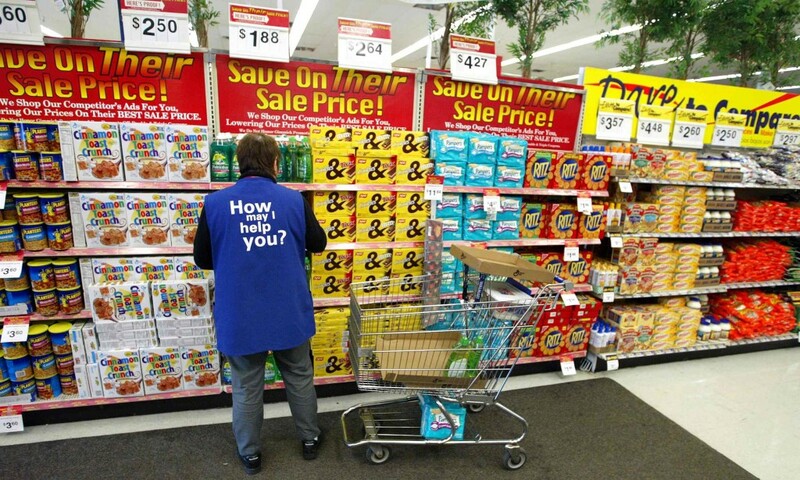 Read “Can Walmart’s food labels make a dent in America’s $29bn food waste problem?” in full. (l-r) Sarah Downer, CHLPI; Dr. Seth Berkowitz, Massachusetts General Hospital; Kim Prendergast, Feeding America; and Kate Hilliard, Food Bank of Corpus Christi. 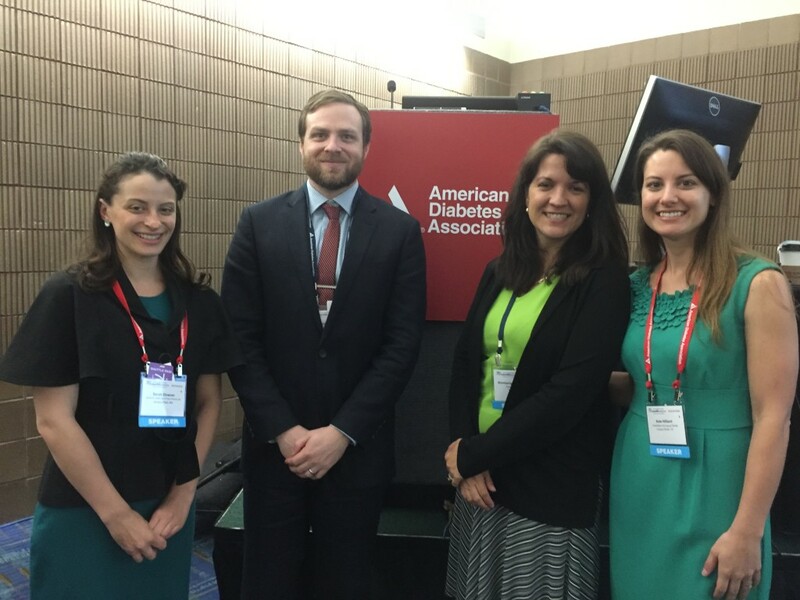 On June 13, 2016, CHLPI Clinical Instructor Sarah Downer presented to over 100 attendees at the American Diabetes Association’s 76th Scientific Sessions on policy and advocacy tools to address diabetes in low-income populations. In a session titled Improving Diabetes Outcomes in Low-Income Populations: When Food Access is the problem, Sarah joined Massachusetts General Hospital expert in diabetes clinical care Dr. Seth Berkowitz, Feeding America Consulting Project Manager Kim Prendergast, and Nutrition Education Manager of the Food Bank of Corpus Christi Kate Hilliard to discuss the link between diabetes and diet. Dr. Berkowitz shared the latest research on how food insecurity increases the risk of diabetes and contributes to worse diabetes outcomes. Kim Prendergast described Feeding America’s member food bank partnerships with healthcare providers and the impact of the organization’s innovative diabetes-appropriate food box intervention for individuals with diabetes. Kate Hilliard discussed strategies her food bank uses to reach the underserved populations in Corpus Christi, including individuals who move frequently, do not speak English, and/or do not have health insurance. Closing the panel, Sarah called on the attendees to be advocates for policy change and champions of using food and nutrition interventions to address diabetes. She outlined policy priorities including: (1) requiring/incentivizing screening for food insecurity in the clinical setting, (2) developing braided funding streams for healthcare and community-based resource providers to support delivery of enhanced services, (3) increasing research into the impact of different levels of food-based interventions on diabetes, and (4) acting immediately to conduct pilot and demonstration projects within our current public healthcare systems. Attendees were enthusiastic about pursuing opportunities to expand access to medically-tailored food to their patients, who face numerous health and resource challenges and often must make terrible choices between paying for medication or buying food. Clinical Instructor Sarah Downer recently presented CHLPI’s cutting edge food and healthcare advocacy work to over 400 attendees of the Food is Medicine Forum in Bangor, Maine. 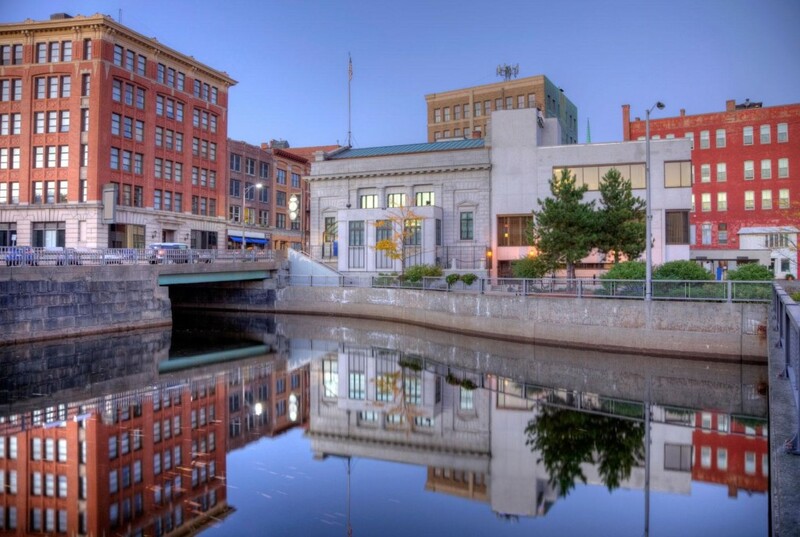 The Forum, sponsored by Eastern Maine Healthcare Systems, brought together experts in food policy and leaders of innovative, solution-driven nonprofits from across the country to explore ways to address the high rate of food insecurity in Maine. Kristen Miale, of the Good Shepherd Food Bank in Auburn, Maine, explained that a high cost of living contributes to making 16% of Mainers food insecure, meaning that they lack access to enough food to live an active, healthy life. Researchers from the University of Illinois, Children’s Healthwatch, and the CDC spoke about the negative health consequences associated with food insecurity and the importance of linking the healthcare system more closely to community-based resource providers, such as food pantries and meal delivery programs. CHLPI’s Sarah Downer advocated for the healthcare system to play a more active role in addressing food insecurity in patients with known health conditions and health challenges, describing the significant costs to the healthcare system of food insecurity and pushing for the inclusion of evidence-based food and nutrition interventions that have been shown to improve health outcomes and lower healthcare expenditures. She urged Eastern Maine Healthcare Systems to become a champion of using food as medicine for vulnerable patients and called on the company to introduce a food and nutrition intervention pilot in one of its network hospitals. EMHS, with funding from a CDC Partnership to Improve Community Health (PICH) grant, will continue to actively explore ways that community-based organizations can become stronger partners in supporting patient health. The Center for Health Law and Policy Innovation (CHLPI) of Harvard Law School will host Envisioning the Future of Type 2 Diabetes Policy: A PATHS Capstone Discussion in Washington, D.C. on Monday, June 20, 2016. The capstone discussion will bring together experts to shape and drive CHLPI’s next steps to advance a diabetes policy agenda. The goal of this event is to focus CHLPI’s work and its partners’ work on the most promising strategies for improving nationwide health outcomes and addressing health disparities for people at risk for or living with type 2 diabetes. Since 2012, CHLPI has worked in close partnership with numerous stakeholders to lead diabetes policy work at the local, state, and federal level as part of its Providing Access to Healthy Solutions (PATHS) initiative. By providing technical assistance and advocacy support to community-based advocates and providers and publishing research reports and hosting events for diabetes stakeholders, CHLPI has helped to identify and address gaps in diabetes services, promote opportunities for structural and systemic diabetes law and policy reforms, and establish stronger partnerships. Since the start of the PATHS initiative, CHLPI has seen tremendous success and promising movement in crucial areas of diabetes policy, such as the U.S. Department of Health and Human Services’ 2016 announcement of its intention to provide Medicare coverage for the National Diabetes Prevention Program and the integration of food and nutrition services in Medicaid Managed Care and dual demonstration programs across the country. The capstone discussion builds off of CHLPI’s PATHS initiative by assessing its accomplishments while looking toward next steps and the future of diabetes law and policy advocacy work. At the event, attendees will discuss key opportunities in the current policy landscape, including: strategies that have been most successful in moving the needle in critical areas in diabetes prevention and management; how to engage stakeholders who could play a larger role in the diabetes dialogue; areas where initial progress can be leveraged to drive broader change; and opportunities for ongoing collaboration and partnerships. Also during the capstone discussion, CHLPI will release Beating Type 2 Diabetes: Best Practices for States, a report that outlines key policies and practices for states that want to improve access to preventive services, care, and treatment for type 2 diabetes. Read Beating Type 2 Diabetes: Best Practices for States. 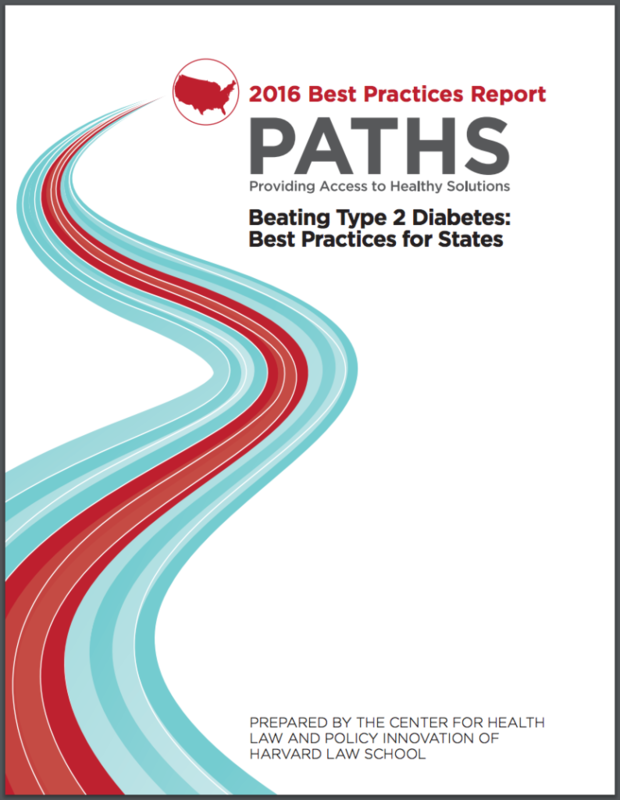 Read the executive summary of Beating Type 2 Diabetes: Best Practices for States. Download the press release for the capstone and report release. 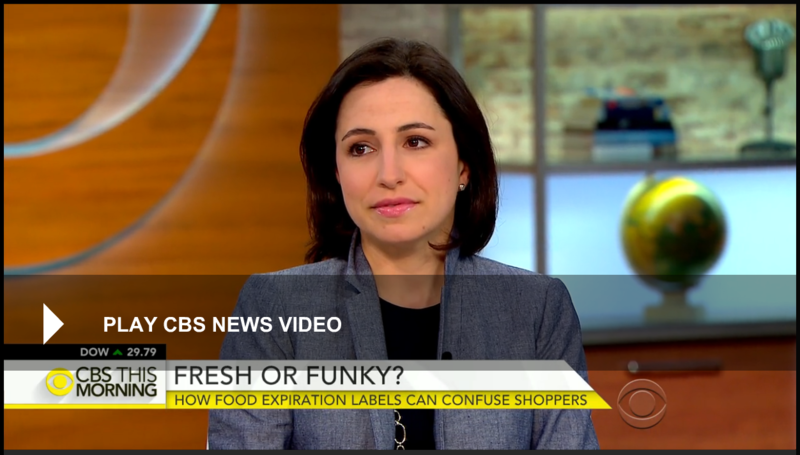 On Wednesday, June 8, 2016, Emily Broad Leib, Director of the Harvard Food Law and Policy Clinic, joined the hosts of CBS’ morning show This Morning for a segment on food safety and date labels. She discussed consumer confusion around the variety of existing labels and how the proposed legislation to standardize date label language will simplify the system for both consumers and manufacturers. Watch the clip of Emily Broad Leib on This Morning online. “After insurer changed policy, he’s winning hepatitis C fight,” is the latest in a series of stories created by Boston Globe reporter Felice Freyer on the tension between Massachusetts residents infected with Hepatitis C and insurance providers in the state with policies denying access to medically necessary medications. The article, published Tuesday, June 7, 2016, provides an update on John Tortelli, who recently began treatment for his HCV after Tufts Health Plan changed their policy on HCV medications. After weeks of negotiation arising from a formal threat of litigation, officials at the Delaware Department of Health and Human Services and its Division of Medicaid and Medical Assistance (DMMA) have changed their policy on rationing coverage of life-saving drugs to cure Hepatitis C virus (HCV). On March 28, 2016, attorneys from Community Legal Aid Society, Inc. of Delaware, in conjunction with Tycko & Zavareei LLP, and the Center for Health Law and Policy Innovation at Harvard Law School sent a formal demand letter to Delaware officials on behalf of their client, Valerie Green, a Delaware Medicaid recipient. The demand letter notified DMMA officials that unless it immediately agreed to remove categorical coverage exclusions of HCV cures from its Medicaid policy, Delaware would face a federal class action lawsuit. On Friday, June 3, 2016, DMMA officials issued a policy revoking these categorical exclusions, effective immediately. HCV is a communicable disease that causes chronic inflammation throughout the body and can lead to serious liver damage and infections, liver cancer, and death. At least 20,000 people in the United States die each year due to liver disease caused by HCV, making it the most deadly communicable disease in the United States. Even before the advanced state of the disease, individuals with HCV can suffer from diabetes, lymphoma, fatigue, joint pain, depression, myalgias, arthritis and jaundice. In 2011, the United States Food and Drug Administration (FDA) began approving Direct Acting Antiviral (DAAs) drugs to treat HCV, and in 2014 the FDA approved ledipasvir-sofosbuvir to effectively cure the disease. Treatment guidelines approved by the American Association for the Study of Liver Diseases (AASLD) and the Infectious Diseases Society of America confirm that DAAs should be available for “all patients with chronic HCV infection, except those with short life expectancies that cannot be remediated by treating HCV, by transplantation, or by other directed therapy.” See http://hcvguidelines.org/full-report/when-and-whom-initiate-hcv-therapy (last visited 6/6/16). For its part, the federal Centers for Medicare and Medicaid Services issued guidance in November 2015 warning states that exclusions and limitations on public insurance coverage of DAAs may violate federal law. Prior to last week’s change, DMMA restricted Medicaid coverage for the HCV cure only to those whose disease had progressed to the point of significant liver damage or cirrhosis. This was flatly inconsistent with the clinical standard of care noted above. Read the demand letter filed by Community Legal Aid Society, Inc. of Delaware, Tycko & Zavareei LLP, and CHLPI. Read the Delaware Division of Medicaid and Medical Assistance updated policy on HCV medications.